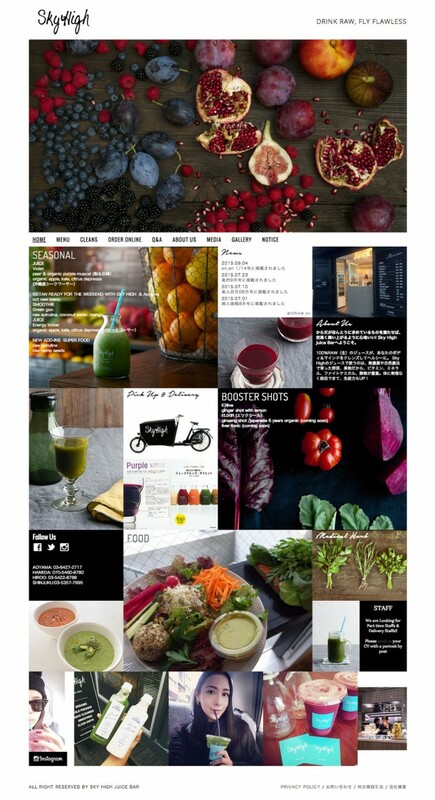 I have designed Sky High – Juice Cleans Bar – Web Site!! All photographs are taken by Mami Keenan who is the owner of the shop!! How beautiful!! 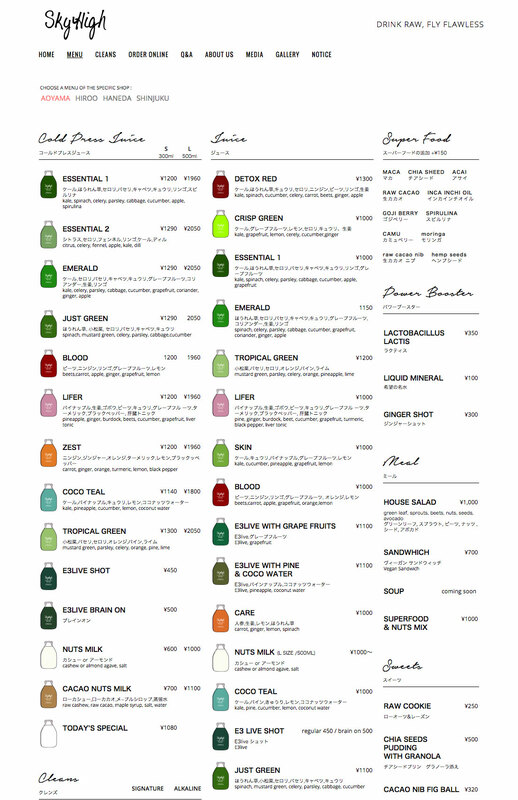 There are some interesting points such as reordering system of the menu and some others. 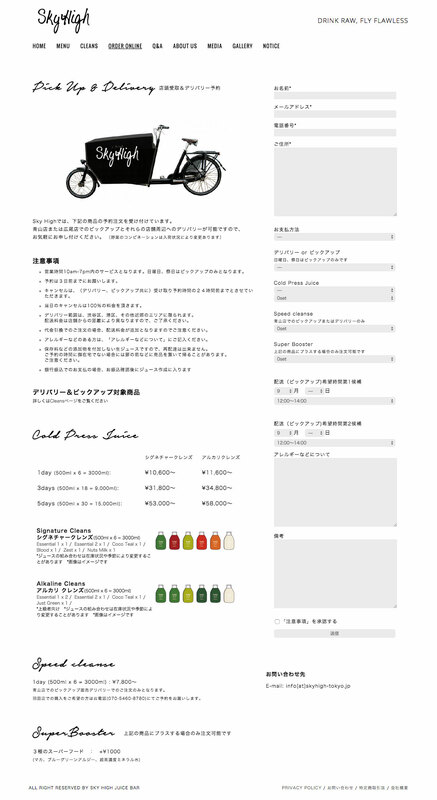 So, please have a look the web site and enjoy Juice Cleans! !